Weston-super-Mare, initially known as Weston near Worle, was a small fishing village until the 19th century when it became a seaside resort and was connected with local towns and cities by a railway. During the 19th century Weston grew from a small village of about 100 people, to a bustling Victorian seaside resort of nearly 20,000 people. Today, it has a population of over 80,000. The name Weston is made up of two Old English or Saxon words meaning the west tun or settlement. What is unusual about Weston-super-Mare is that the descriptive part of its name has remained in medieval Latin. Super (with a small s) means on or above, and mare is Latin for sea. There is a wide range of housing within the area, which range from terraced properties, flat conversions, modern apartments and houses right through to the elegant Victorian houses on the hillside overlooking the town. 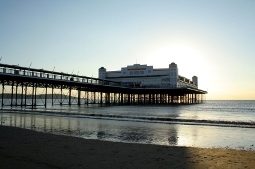 A wide range of businesses including offices, leisure and shopping facilities are in the Weston-super-Mare area. The redevelopment of the Dolphin Square part of the sea front will bring further retail and leisure facilities, which complements the recent regeneration of the sea front. Located close to junction 21 of the M5 motorway, Bristol is approximately 20 miles (32 km) away and can be accessed by the M5 or A370 road. Weston-super-Mare has three train stations, Worle, Milton and Weston-super-Mare. Frequent buses run to all parts of Weston and buses to Bristol and the retail park at Cribbs Causeway run throughout the day. Search our database of properties in Weston-super-Mare.